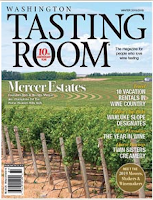 The following article is from the Winter issue of Washington Tasting Room Magazine. Washington saw its sixth straight warm vintage in 2018. Near perfect weather conditions in September and October capped off the growing season, with winemakers expecting high quality wines to result. 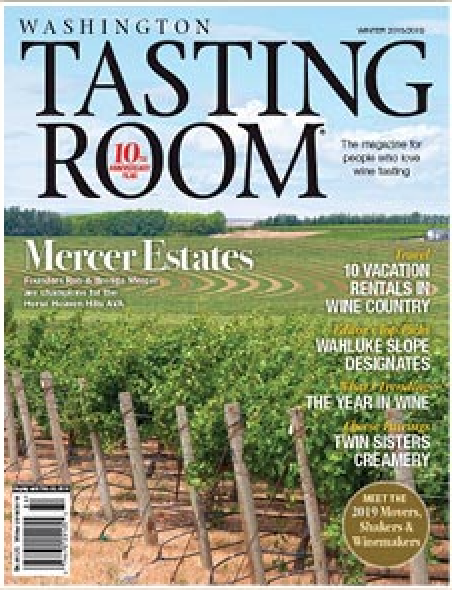 Here’s a look at some of the trends we saw this year in the state’s wine industry. In late 2017 the state completed its latest grapevine acreage study, the first since 2011. There were a number of eye-popping findings, foremost of which was an 81% increase in plantings of Cabernet Sauvignon over a seven-year period. Driven by Cabernet, red grape plantings in general increased by 43%, with white varieties growing more modestly in the low single digits. Overall, grapevine acreage in the state was up more than 25% this decade. This leads to the conclusion that Washington is increasingly becoming Cabernet country, a strong trend that will continue in the coming years. Furthermore it’s clear the state is tilting increasingly towards becoming a red wine dominated state. Expect red wine grape plantings to continue to rise in the coming years. Take the 2019 Riesling Challenge!